It doesn't have much of a smell, and is much more useful for its inherent qualities. A healing oil, very effective in treating infection. 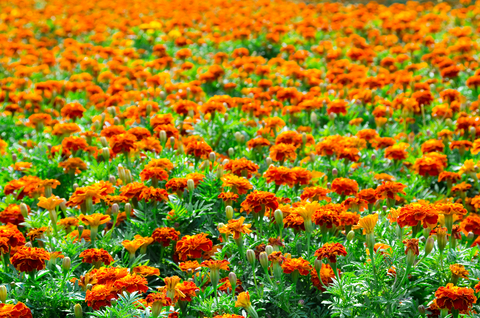 When used in creams, marigold can help heal broken skin or irritated areas. Blend it into a massage oil or pop a few drops into the bath to ease a cough or chest infection. It's also equally effective if you put a few drops in an oil burner.